Four exchange students from Cairo shared firsthand accounts of the revolution Thursday at the Office of Multicultural Student Affairs (OMSA) in an effort to connect Egyptians on campus. The event, organized by the Office of International Affairs, brought students from Cairo University and American University in Cairo together with University faculty and students to discuss the 18-day protest that ousted former President Hosni Mubarak. The students arrived late January and early February and will be studying at U of C during Spring Quarter. Noha Syam, an exchange student from Cairo University, attended the protests for one day but still shared her experiences watching the protests unfold in Tahrir Square. She said that as protests continued for days and the Internet was shut down, the unity of the protesters made her realize a potential for revolution she had initially dismissed. She added that she was impressed that the protesters, who came from all social classes and education levels, banded together to protect public buildings like the Egyptian Museum amidst the chaos while there was no government presence. However, the National Democratic Party Office was looted during this time. Mohamed Salem, also an exchange student from Cairo University, shared a much darker perspective on the same events. Salem was part of the protests almost every day since January 28 and experienced police brutality firsthand. “They beat us very heavily. They drove us back to the side streets. 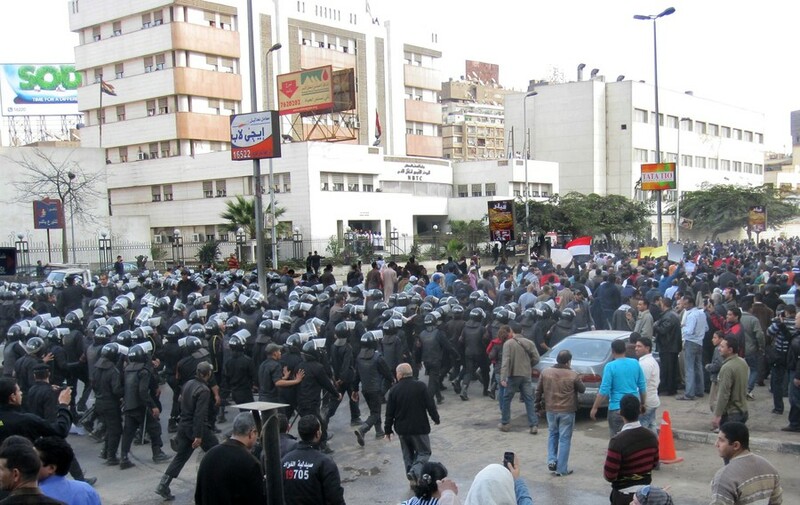 They actually followed us to the side streets and they gassed us with no less than 80 canisters of tear gas,” Salem said. But the fear ended as the police left. “I think the thing that people were most afraid of was not getting beaten but getting caught, because once you get caught, you’re history,” Salem said. Still, violence and disorder continued with looting of public offices as a political demonstration. “‘These are our things,’ which was actually what some people said. ‘This is our money. This is public money. This is Egyptian people’s money,’” Salem said. Salem had access to al-Jazeera, al-Arabiya, CNN, BBC, and the Egyptian television; he said that Egpytian media under-reported the number of protesters in the streets of Tahrir and never showed live footage of the protests. University faculty members offered accounts of their own experiences watching the protests from Chicago. OB/GYN professor Mahmoud Ismail said he could not sleep for days watching the protests unfold on CNN. Far from Egypt, Ismail described the mixed emotions he and other Egyptians abroad felt during the 18 days. “We were very happy that the people, the youth…decided to change the status quo of Egypt. The other part was worry about what would happen to these youth,” he said.